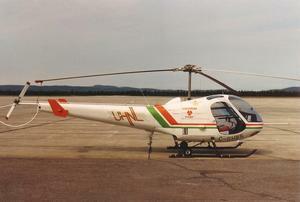 Similar to the F-28C-2, the 3-place helicopter was certificated in December 1980. There is a police version known as the F-28F-P Sentinel, with identical specifications and performance; it may be fitted with a searchlight, police radio, Forward Looking Infrared (FLIR) and PA systems. Resources related to the F-28F Falcon, provided by the Vertical Flight Society. Resources related to the F-28F Falcon, provided by public sources across the internet.